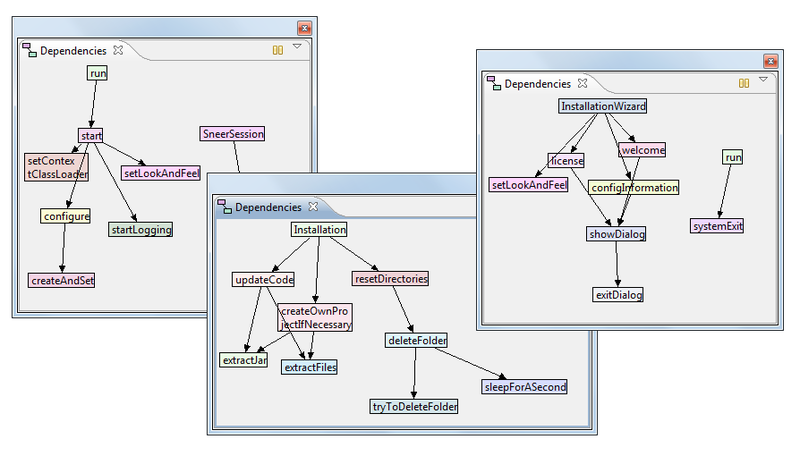 After a text editor and a compiler, a code structure viewer is the first thing we want. Byke is the code structure viewer for Eclipse. It displays the dependencies within our code IN REALTIME. Byke requires Eclipse 3.1 or newer running on Java 5 or newer. Feel free to contact us on the discussion group.